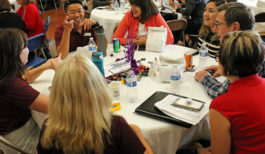 Through collaborative efforts of San Diego Military Family Collaborative (SDMFC), San Diego Veterans Coalition (SDVC) and the Caster Family Center for Nonprofit and Philanthropic Research of the University of San Diego, The SD Regional Veteran & Family Wellness Strategy (SDRVFWS) Report is here! 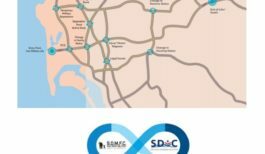 Using information gathered at the Fall 2018 Community Conversations, the SDVFWS team has compiled asset maps providing a look at San Diego’s Military and Veteran Connected Community footprint. If you would like to view the full report SEE HERE! PLEASE NOTE: The following Asset Maps were informed by input from agencies that registered and participated in the SDRVFWS Community Conversations in Fall 2018 as well as pre-existing databases. See below on how to navigate each of the maps. This first map is a visual representation of San Diego organizations that serve a specific Primary Life Moment in the military and veteran connected community. This map represents San Diego organizations that serve the military and veteran connected community present for Community Conversations vs. those that were not present. This map represents the organizational representation across the four regional venues of San Diego for each of the 4 Community Conversations.